In a bid to compete with the Lamborghini Gallardo, the new car will get a larger 4.5-litre V8 engine – hence the name – putting out around 500bhp thanks to modified mechanicals including a higher rev limit. Expect the F450 to make its debut at the Frankfurt Motor Show in September with UK sales starting in 2010. This is not hot to me...but at least somebody WORKED on styling this instead of just wind-tunneling the previous model to a more efficient design (my take on the F430). Last edited by What III : 03-28-2009 at 01:29 AM. 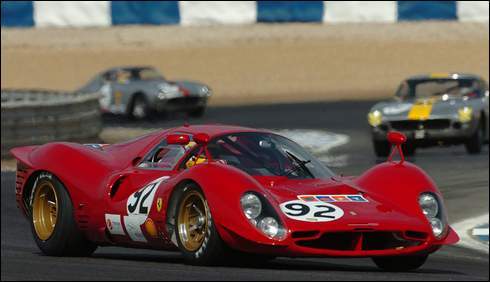 I think the era of the truely beautiful Ferrari is over. But it's still not doing much for me. Ferrari has been OVERRATED to me since about 2003...all forms of Ferrari, not just styling...maybe...or maybe I discovered that I love manual transmissions and cars that'll accept autozone oil and don't require Dasani water/radiator-fluid mixes to maintain itself. Ferraris are too diva for me. Last edited by What III : 03-30-2009 at 06:32 AM. I like this better than the F430 and F360. I actually prefered the F355 to either of them, but this one's decent, other than the increasing in size the dual front scoops from the previous 2 models. I'd have rather seen a more Ferrari-like central grille, but the reasoning for them being where they are is functional. Still, if I had any money for Ferraris, the only ones in my garage would be the F40 and a classic front engine V12 model like the Lusso. I agree with you on this. F40 and Daytona would be the only Ferraris in my garage as well. Ferrari should ought to stick KERS into that. Looks great. 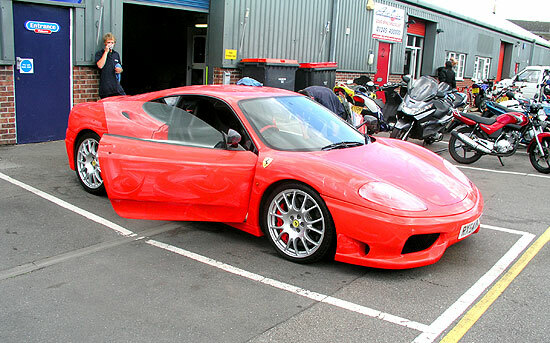 The ferrari F430 never did much for me. Didn't like it before it came out, didn't like it when I saw tens of them at auction, didn't like it when I sat in it, and didn't like being a passanger in one either. It was just ehh. F355 is still my favorite.